Today’s seafood feature provides heart-healthy Omega-3 fatty acids and lots of delicious southern flavor! This is the second recipe that I created, in a seafood round-up, for Acme market‘s newsletter, The Weekly Nibble. 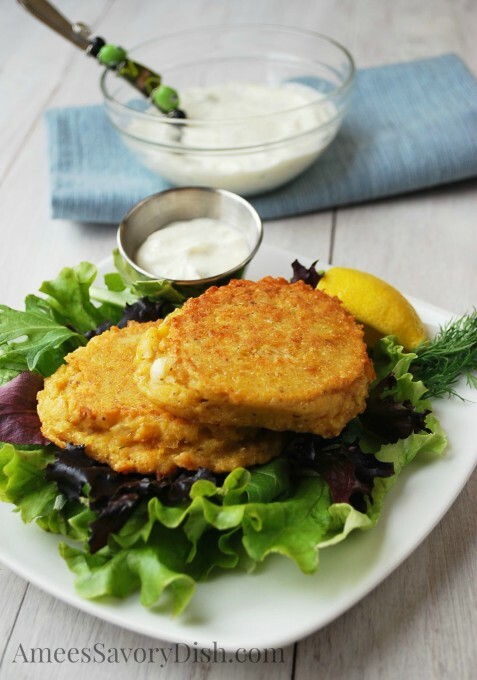 You can serve these salmon patties as a meal, with your favorite side salad and vegetables or make them into smaller portions and serve as an appetizer. Enjoy! Drain salmon and put into a medium size bowl. Make sure all bones are removed. Combine salmon, eggs, breadcrumbs, cornmeal, garlic powder, onion and lemon juice and mix well. Form into 6 patties and season with salt, pepper and a sprinkle of paprika. Cook patties until nice and golden on each side. Keep patties warm and prepare the sauce. Stir yogurt, lemon juice, lemon zest, fresh dill and dijon in a small bowl. Place salmon patties over fresh artisan lettuce and drizzle with sauce. 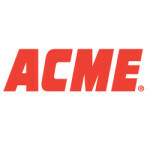 *This is a sponsored conversation written by me on behalf of Acme Markets. The opinions and text are all mine. Amee..these patties sound awesome and delciious. They would definitely be best with Alaska salmon. MMMM! Pinning! Hi Marsha! Thank you so much!! So happy to hear from you! Hugs!! 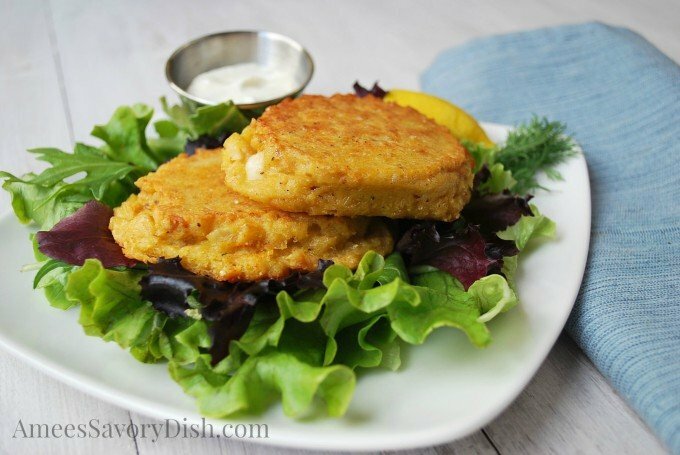 Love how healthy and delicious these salmon patties are. I definitely need to make the recipe! Looks like the perfect meal!! I love the lemon dill yogurt sauce. it is really good to eat with salmon. Thanks for the recipe! Healthy and delicious are two important things for a dish. I love this recipe. Thanks for sharing the salmon patties recipe.